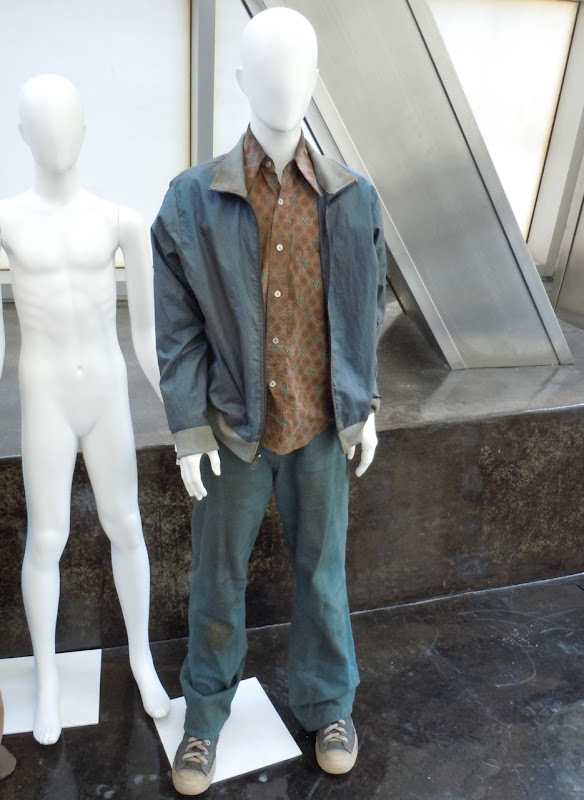 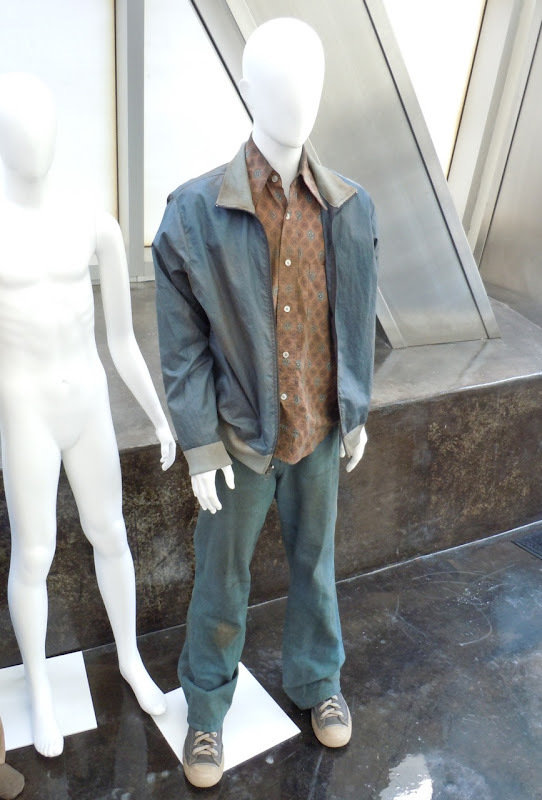 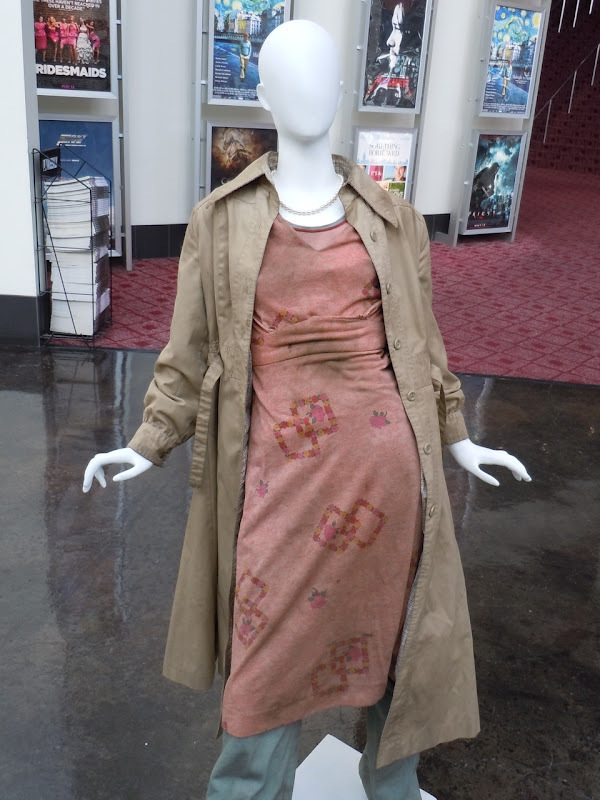 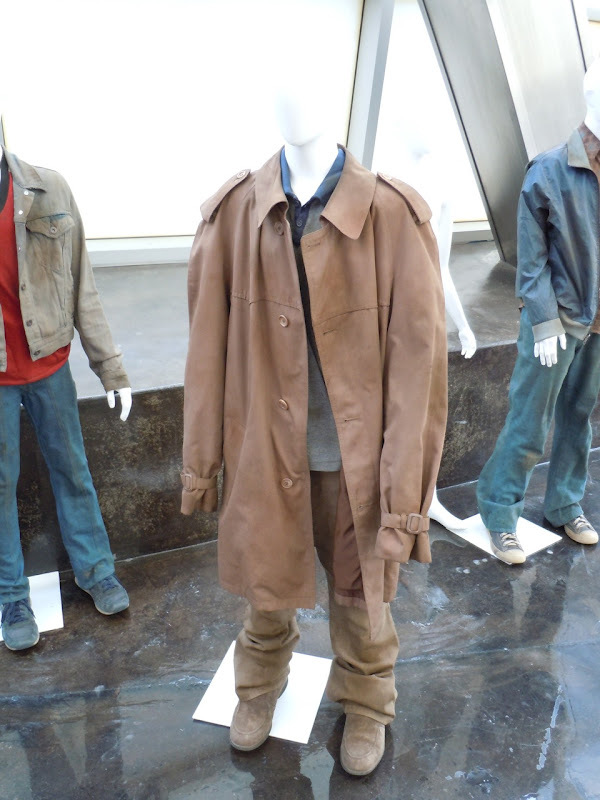 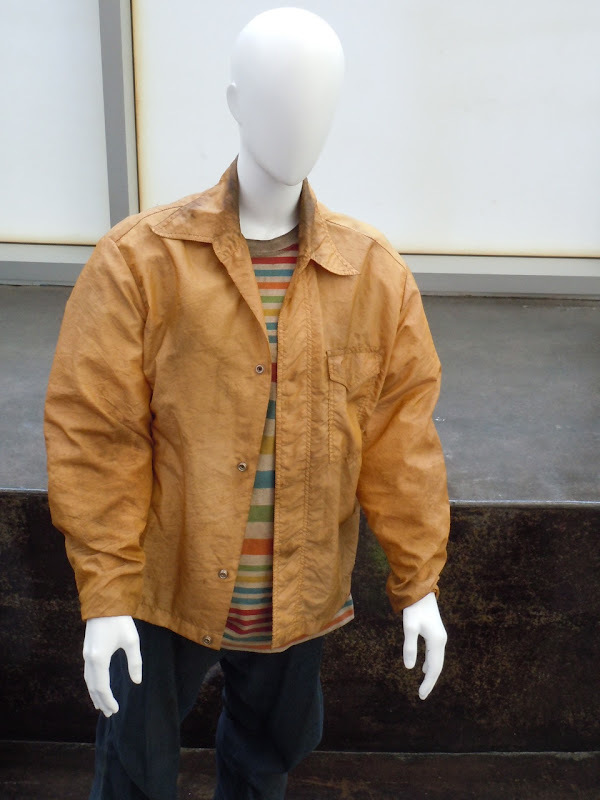 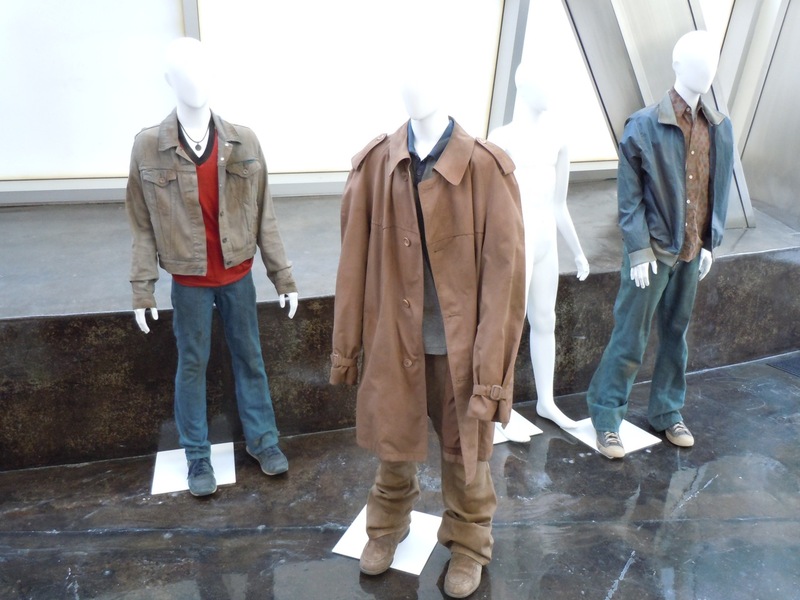 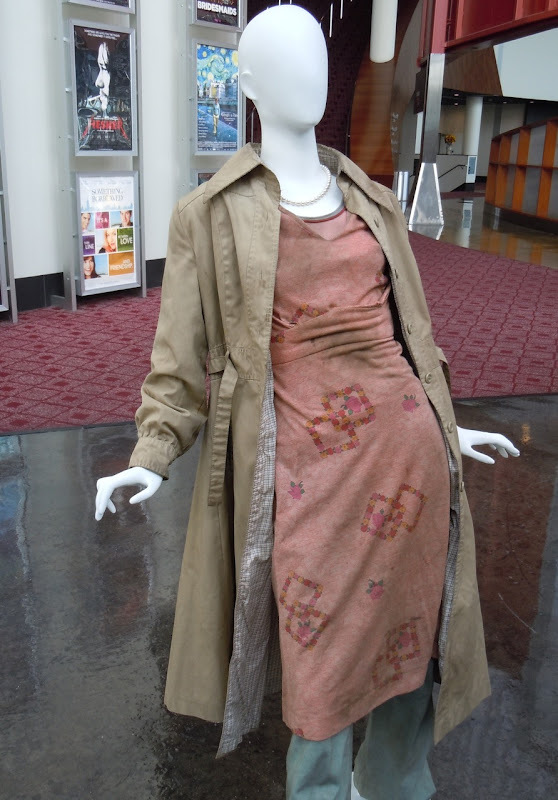 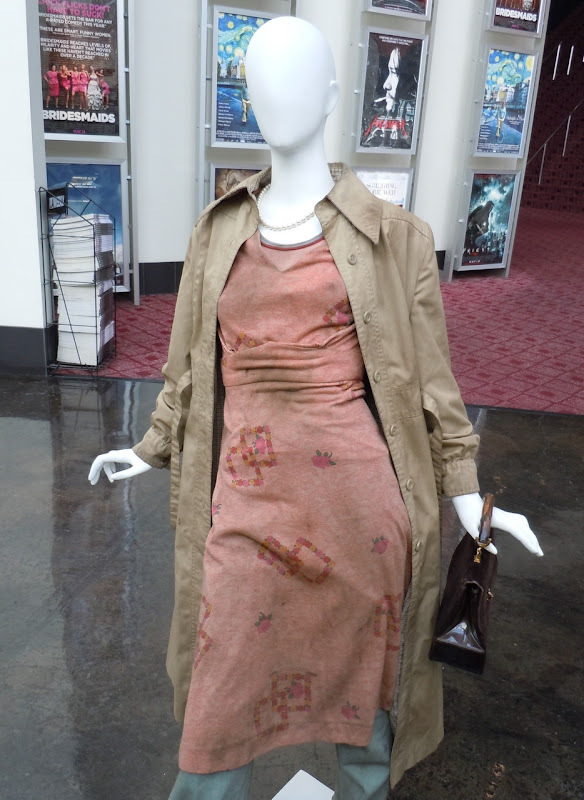 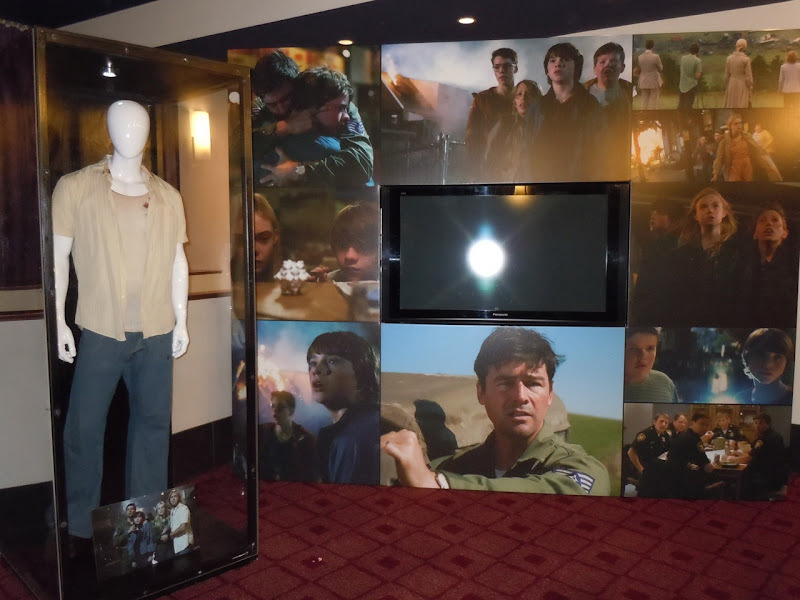 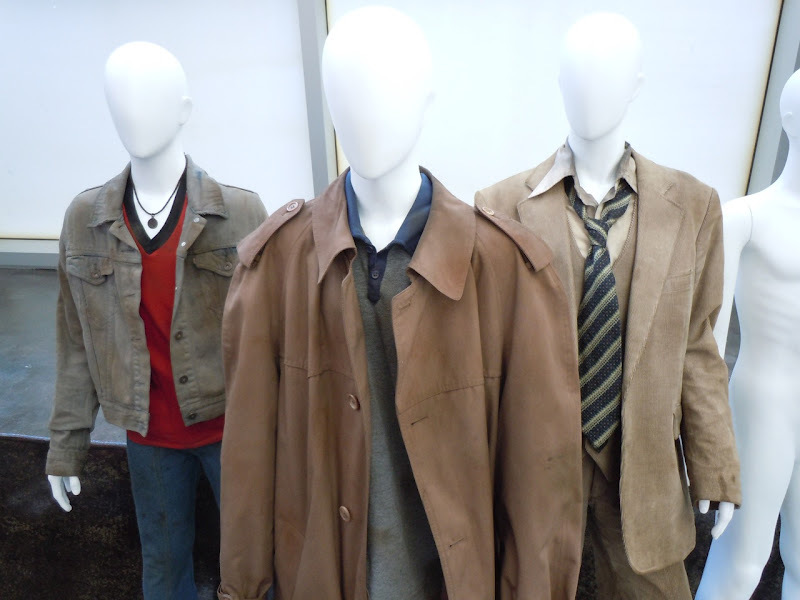 J.J. Abrams and Steven Spielberg's new sci-fi thriller, Super 8, may still be shrouded in mystery, but ArcLight Hollywood, ArcLight Pasadena and the Cinerama Dome all had costume displays to help fuel fan excitement for the new movie. 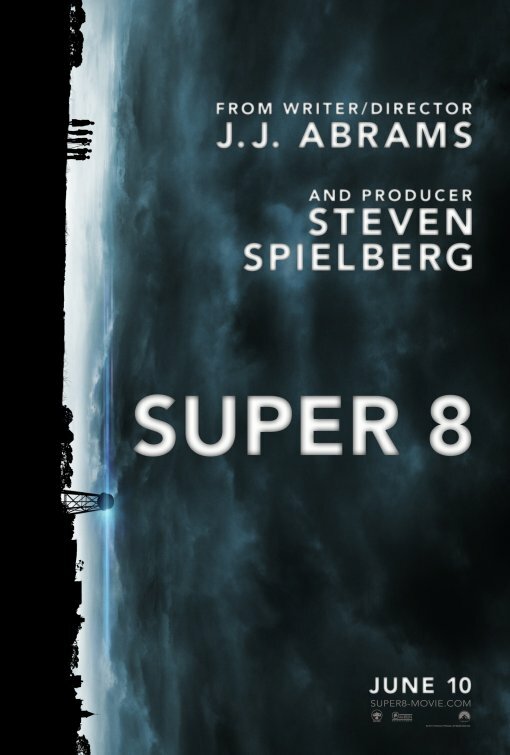 Apparently the movie is set in 1979 and follows the events of a group of children making a Super 8 movie when they witness a mysterious train crash in a small Ohio town. 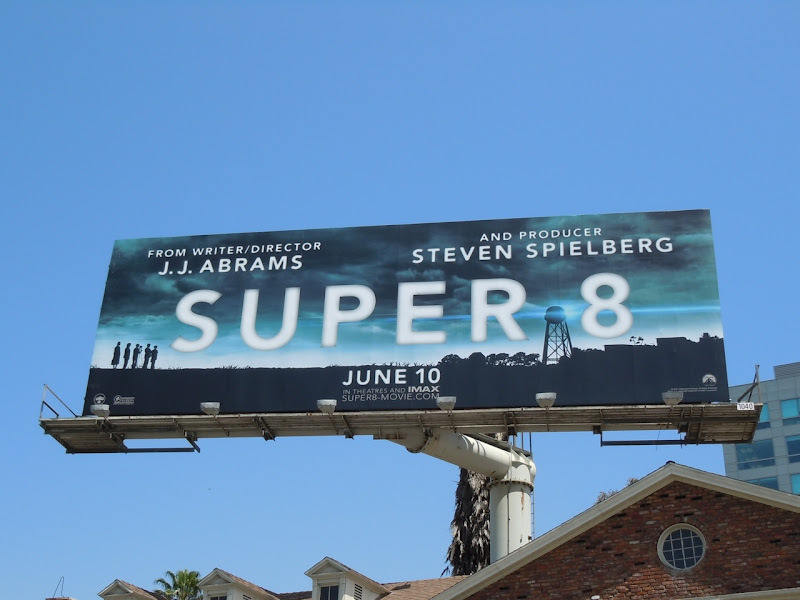 The plot and storyline are hard to discern at this time, but amidst the secrecy there are rumblings about some kind of alien being transported on that train, which leads to all kinds of creepy phenomenon happening around their home town. 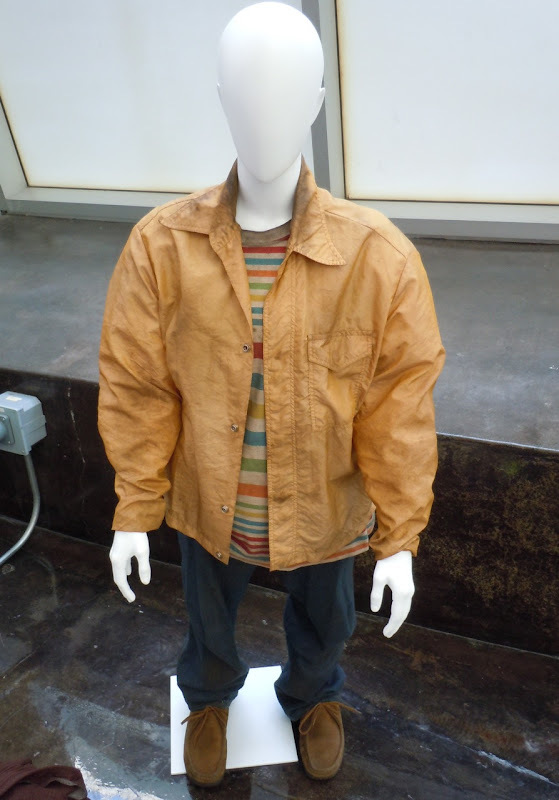 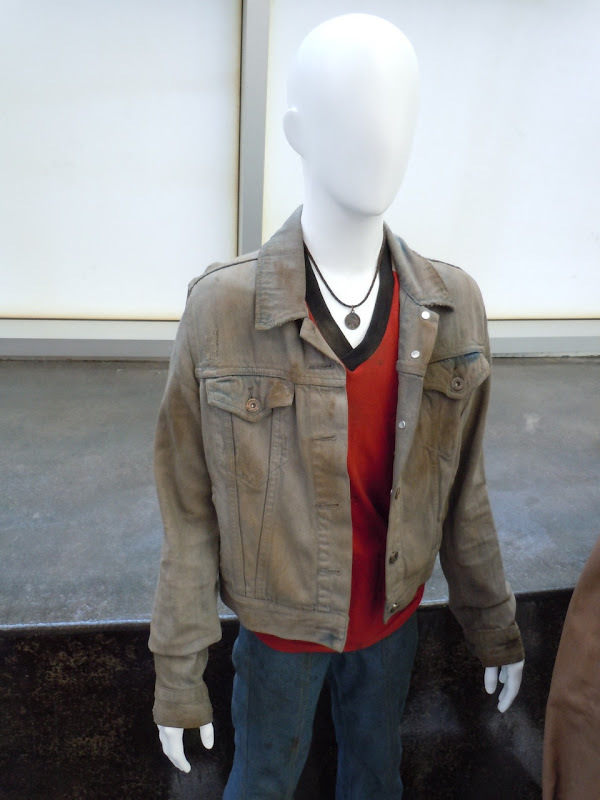 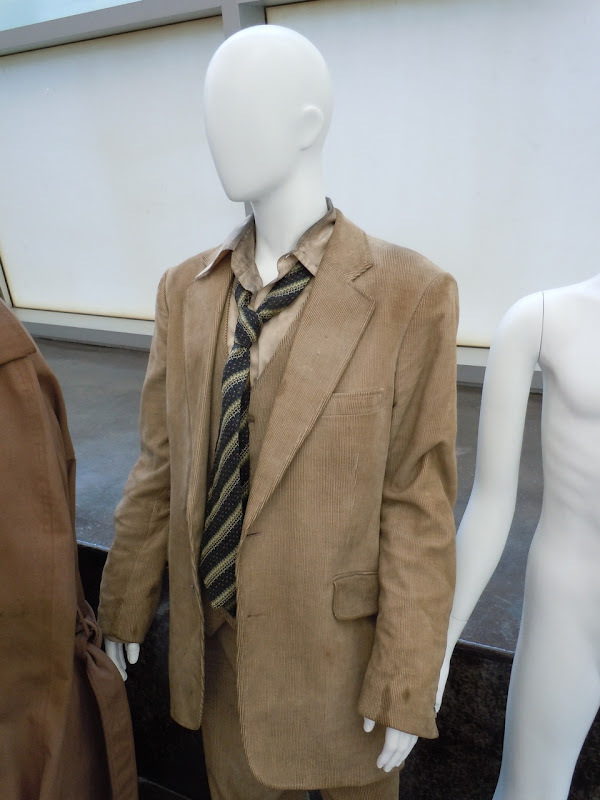 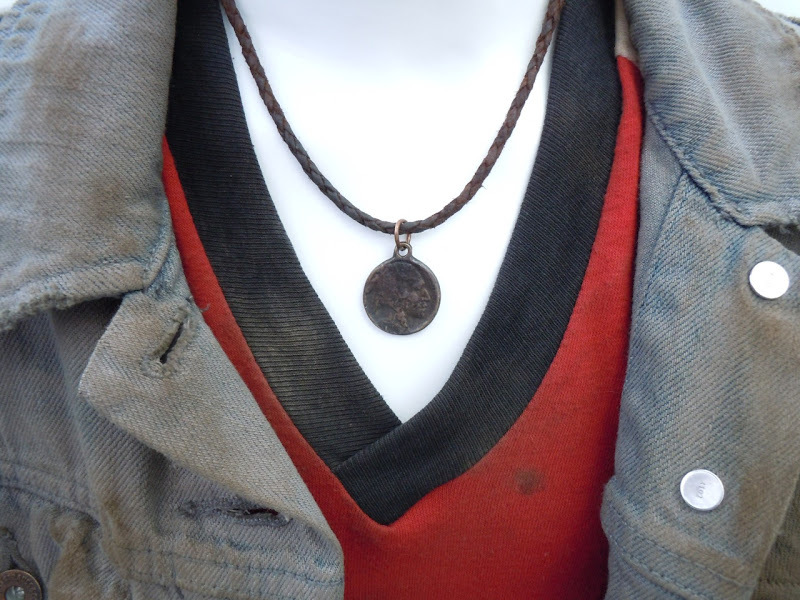 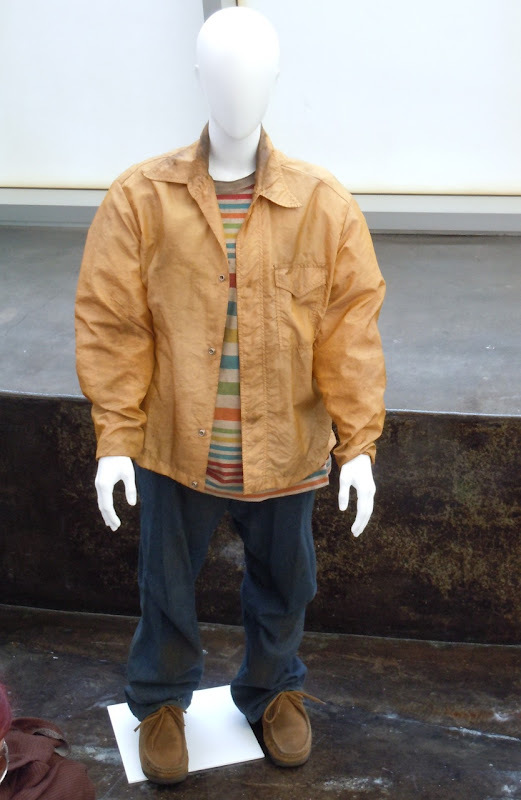 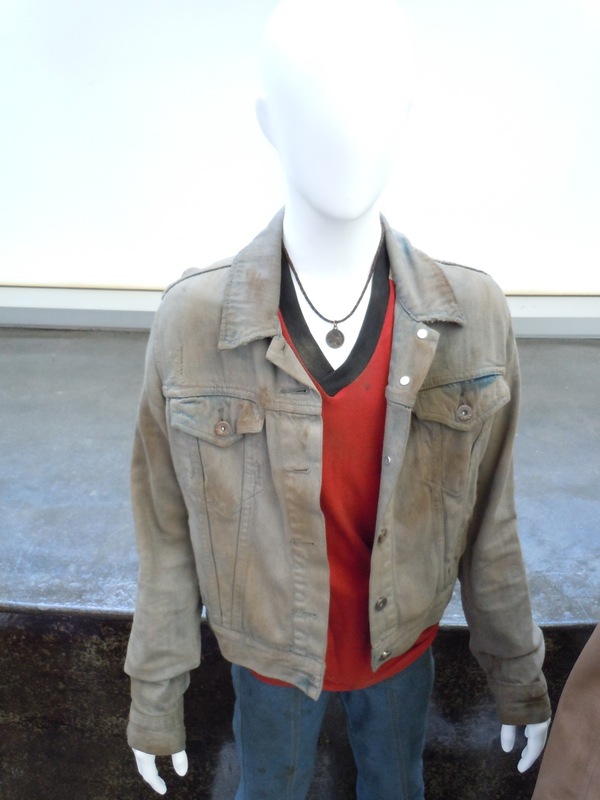 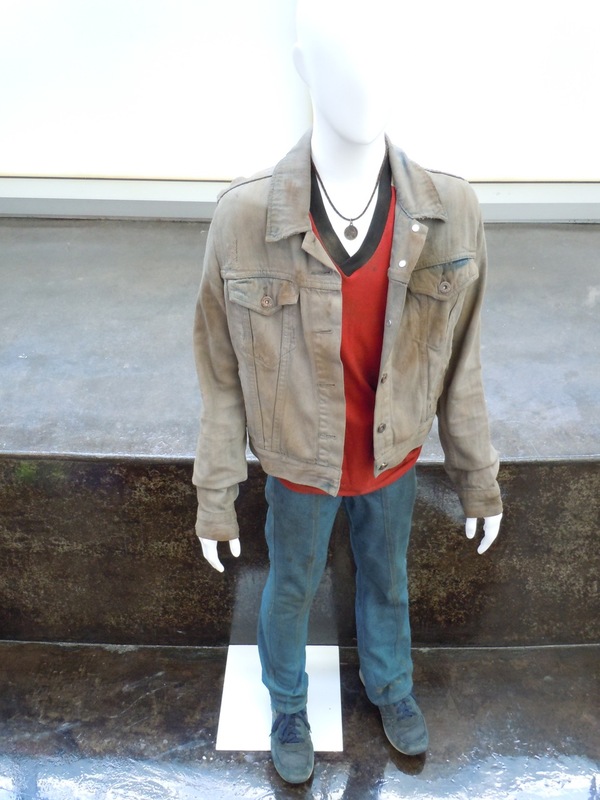 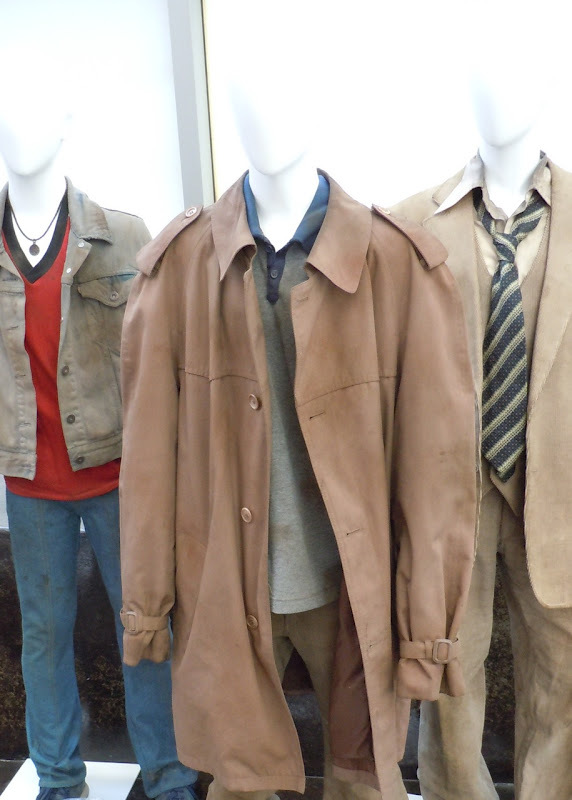 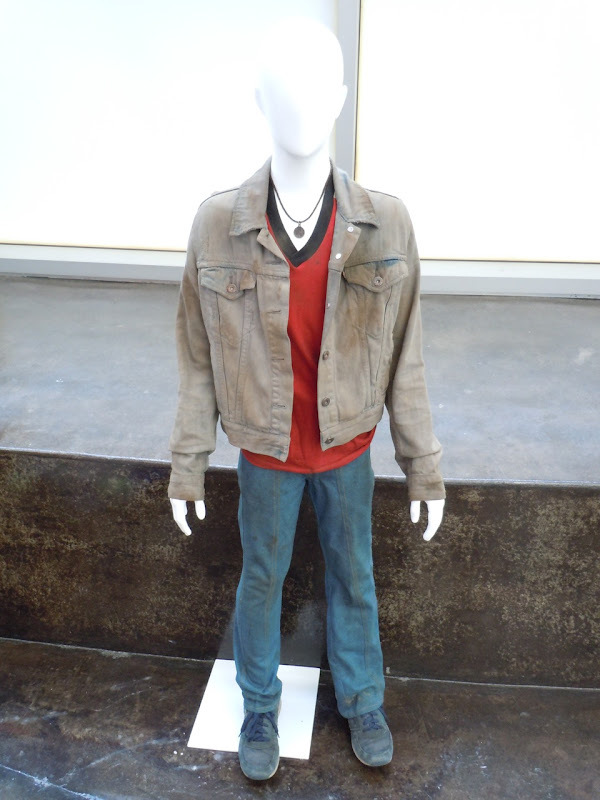 I'm told that dust was added to the child actors clothing for these exhibits to make them more dirty and look more authentic to how they appear in the movie. 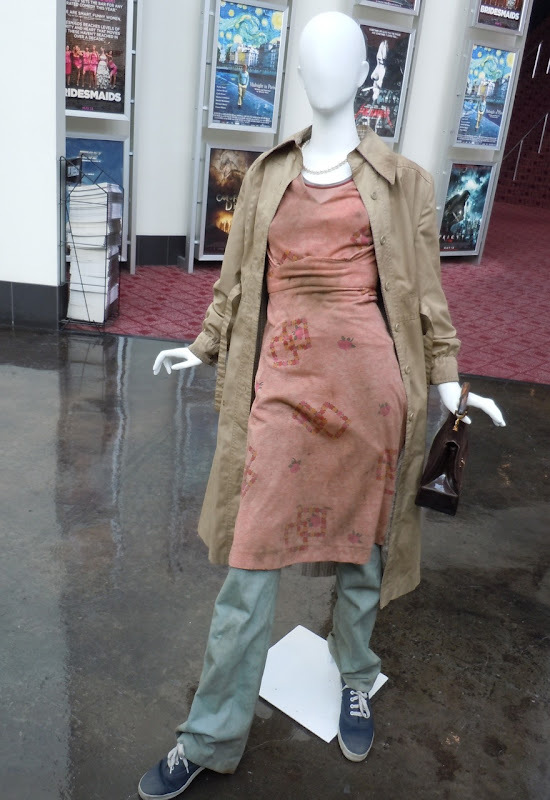 This outfit is worn by Elle Fanning as 'Alice' in the movie and I believe the pearl necklace and handbag are from a scene where they are filming their homemade movie. 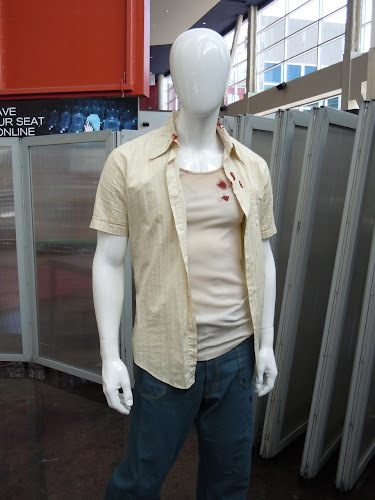 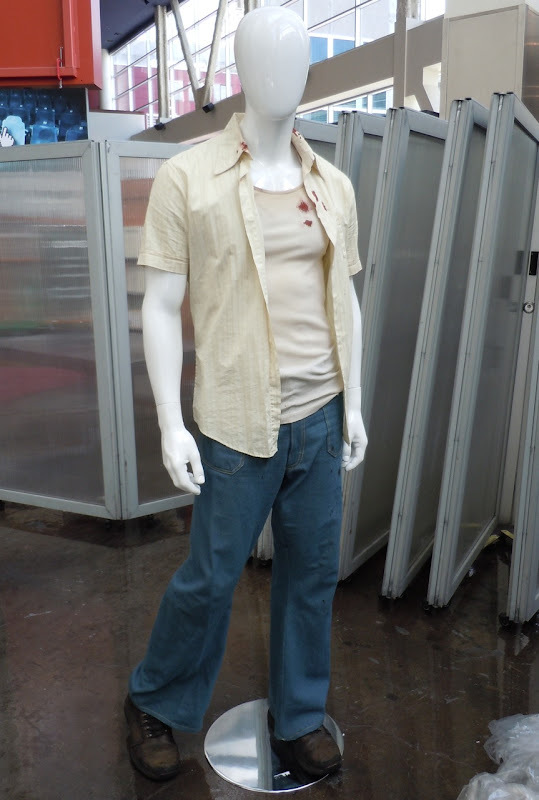 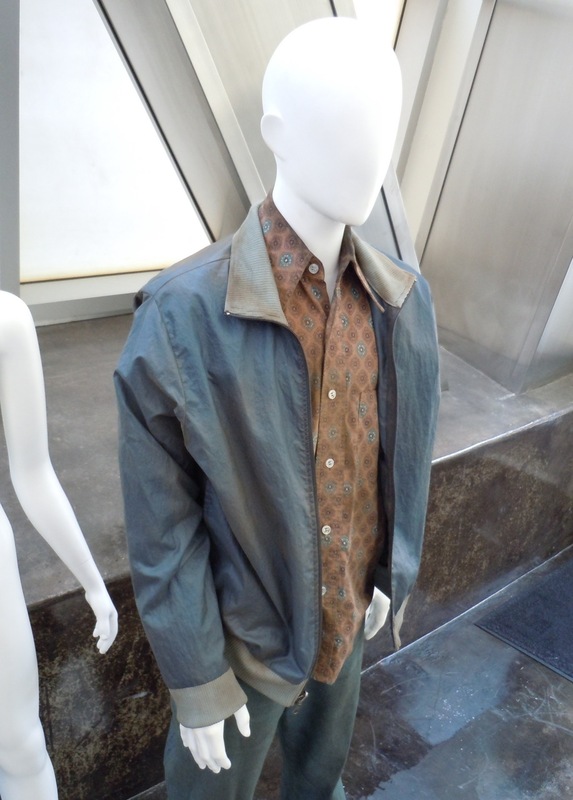 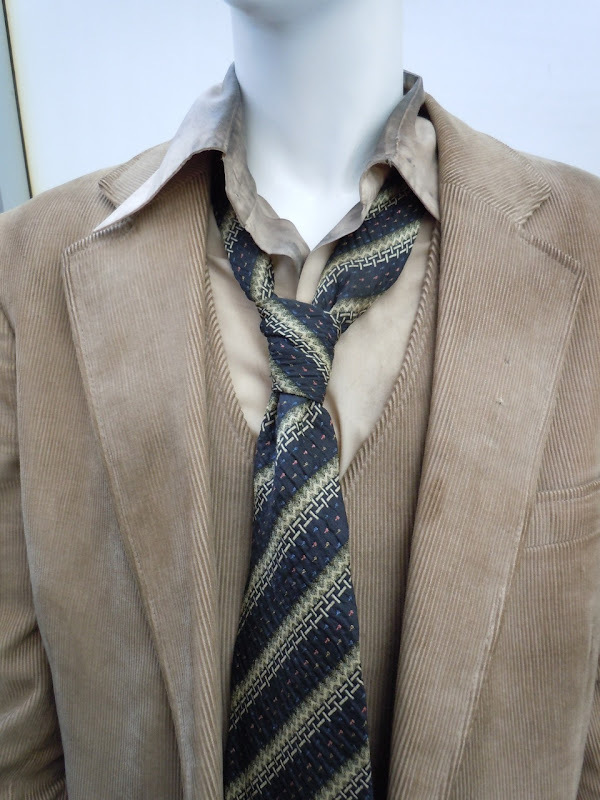 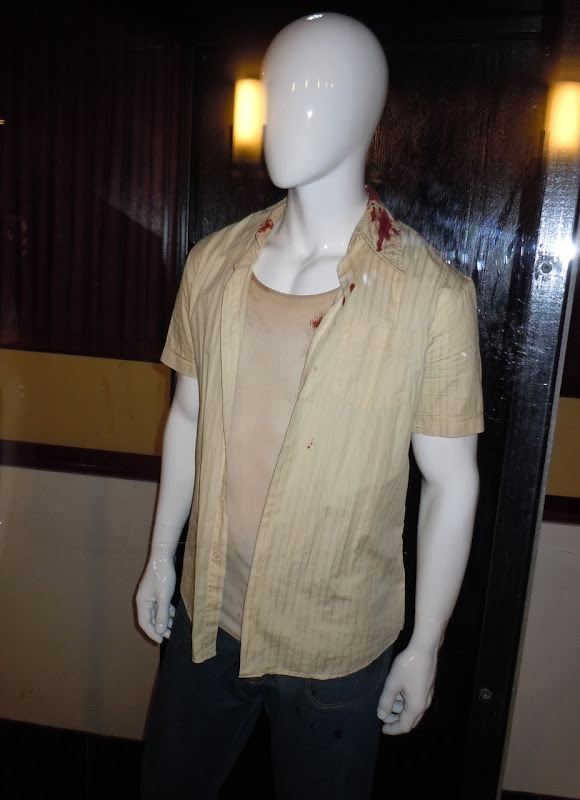 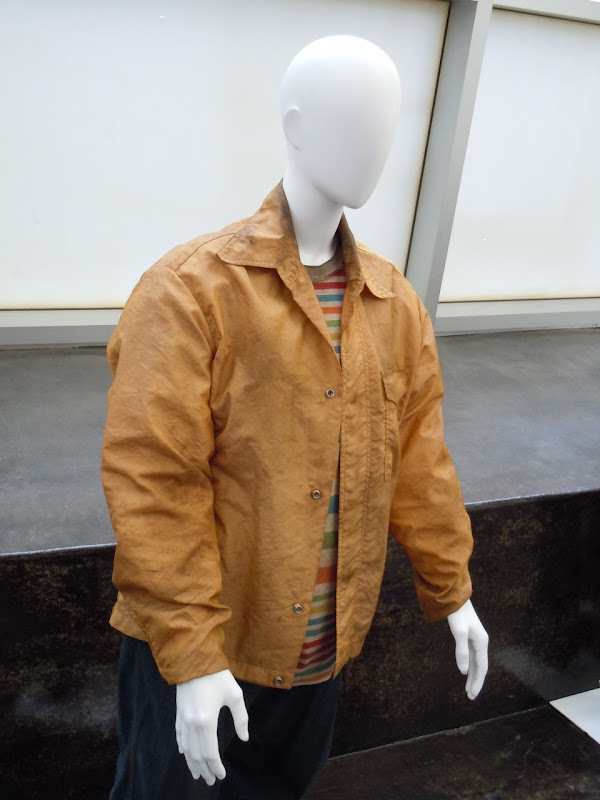 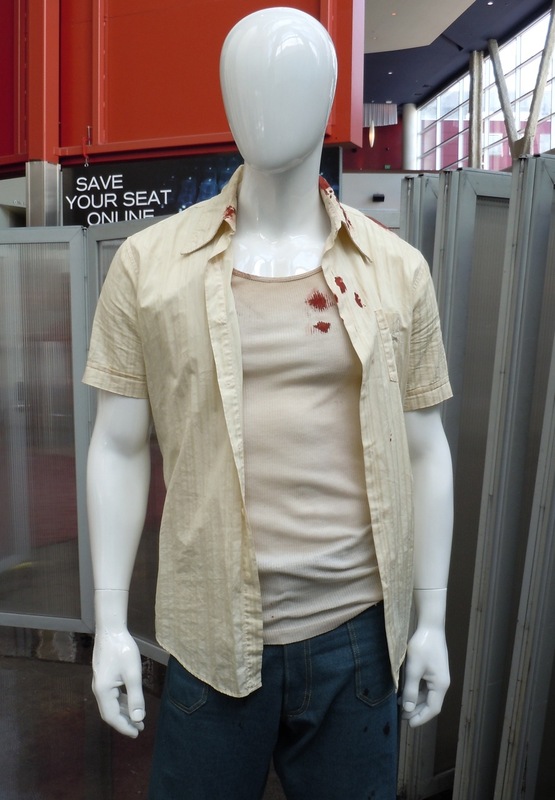 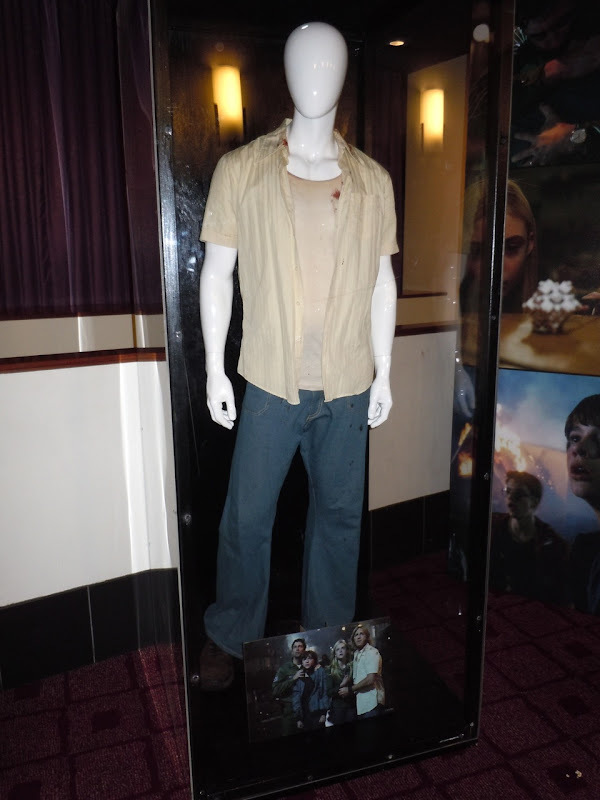 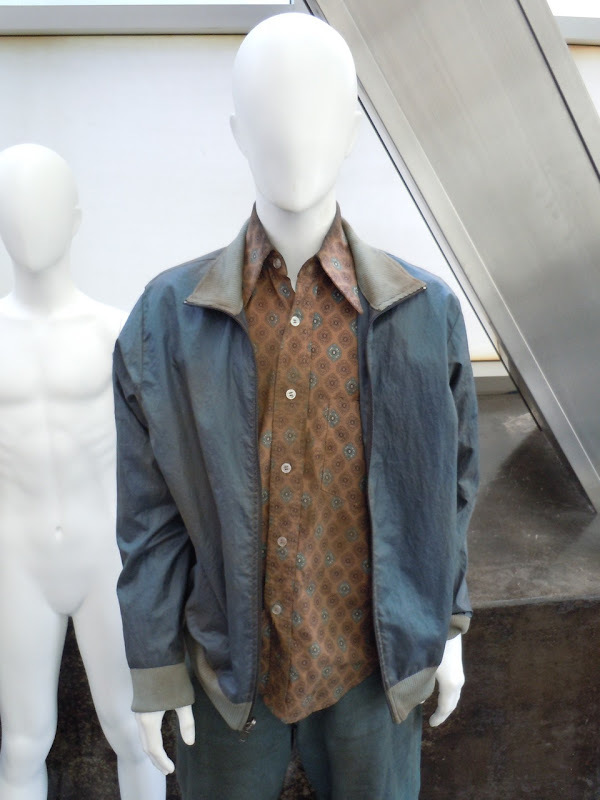 You'll currently find this costume worn by Ron Eldard as 'Louis', who I believe is Elle Fanning character's on screen dad, upstairs at the ArcLight Hollywood cinema. 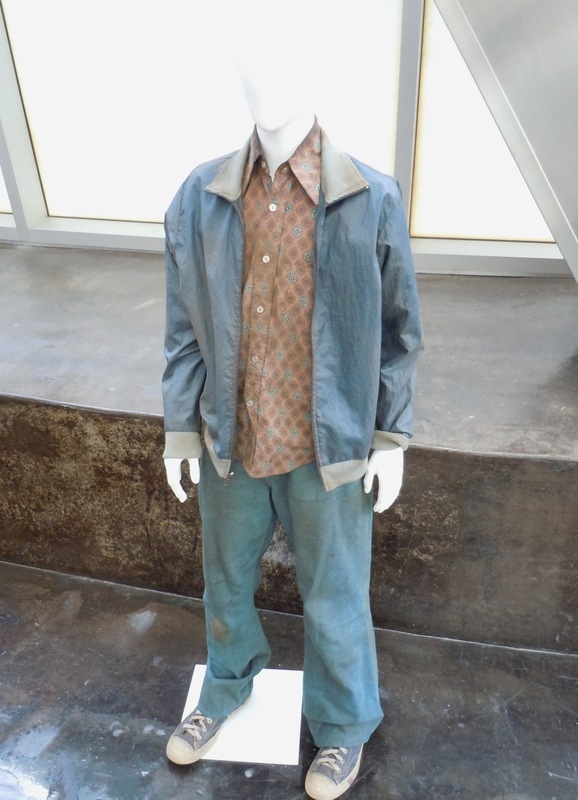 Most of the young actors are unknowns or relative newcomers, so at this moment I simply know their screen names and not how integral each character is to the overall story. 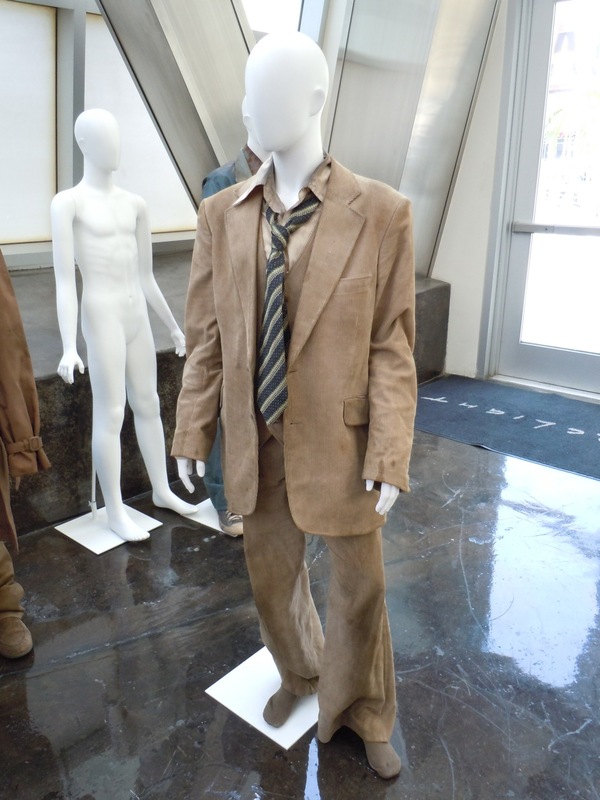 Ha Nguyen is responsible for the late 70's era Costume Design in the movie. 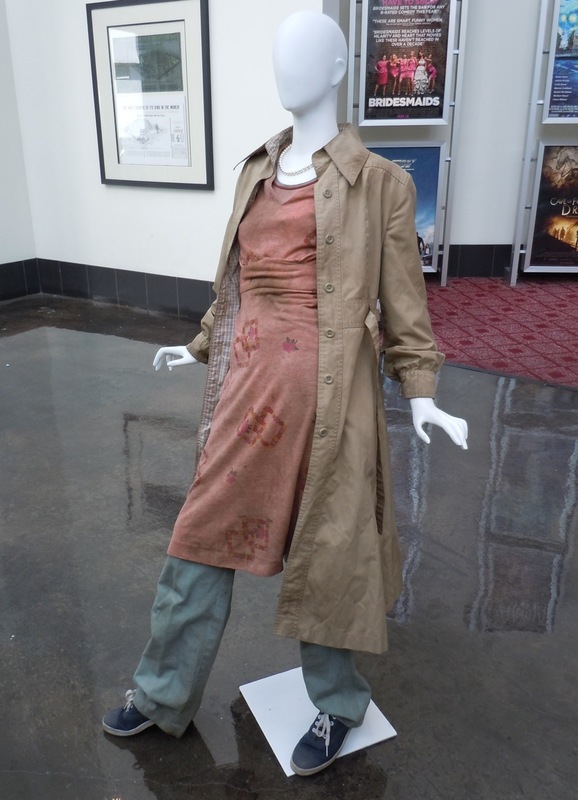 These costumes were photographed at the ArcLight Hollywood on May 20, 2011. 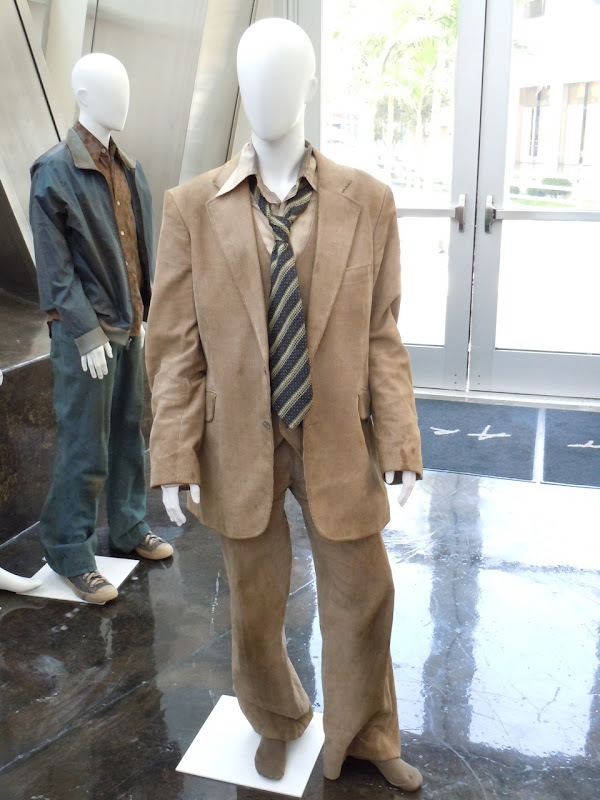 These cool movie costumes have piqued my interest even more, so I cant wait to see this new movie when it open on June 10, 2011. 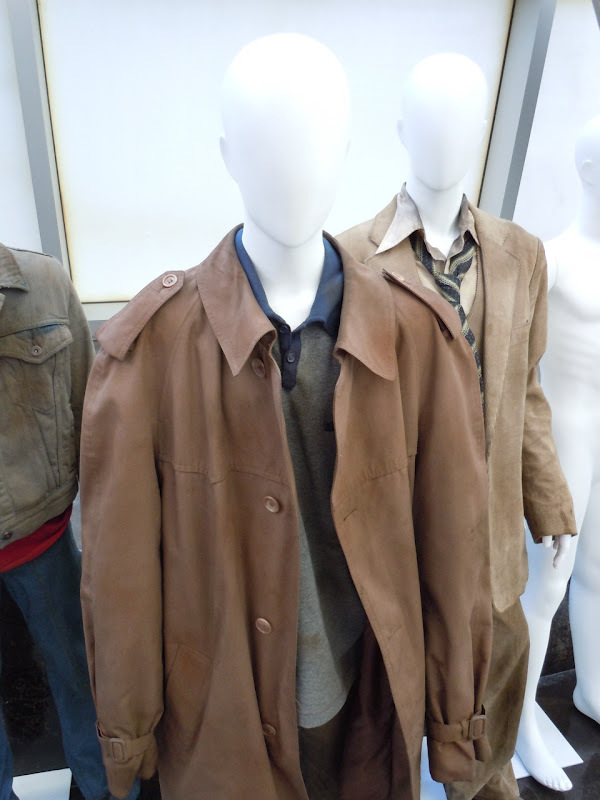 If you're a J.J. Abrams fan be sure to also check out these original movie costumes and props from his Star Trek re-boot.